In Indonesia, like in any other Asian countries, skin-whitening products are the most sale-able items on supermarket and pharmacy shelves. Media have done their job in selling the women the magic elixir for lighter skin. Many brands come up with extensive formulations and improved ingredients that promise clearer skin is just a jar/tube away. Pond's, Nivea, L’Oréal, Sari Ayu are selling lightening products that has dominated the market for the past few years. The message they try to brainwash is that fair skin equals beauty and youthful appearance. As in the West, it's the celebrities (top models or sinetron actresses) who set the beauty trend, most of whom blessed with fair skin and serve as models for major product lines. Today many women worry about getting too much sun exposure, because they believe it can damage skin and leading to wrinkles. Despite numerous skin-whitening horror stories reported in recent years, this "white obsession" is alarmingly increasing. What sad is that beauty industries are feeding in on these self-destructive problems and making money off of it. I am not into whitening products since I believe that you were born and will die with your natural complexion. So what do you think came first? The product or the perception that whiter is better??? Yes, it's that time of year again - Inacraft 2008 time! 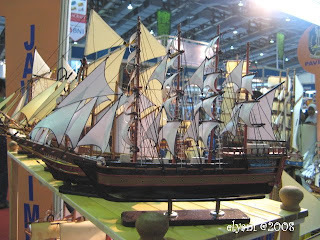 Now in it's tenth year, the big craft fair was held at Jakarta Convention Centre from April 23 to April 27, 2008. So, yesterday morning, my sis, bro in law and I took off to JCC. After some traffic issues and the difficulty to find a parking spot, we managed to get there. If you are not able to walk a lot you will be in trouble. We had to park at least 15 minutes away from the building. We arrived at the ticket area (you had to pay 10,000 Rupiah / USD 1.20 for entrance fee) around 11am and it was already jam-packed. Once you get into the building it was so crowded that you couldn't take a step without bumping into someone. 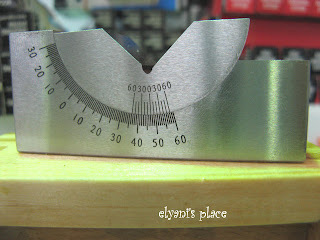 Making it difficult to browse the goods, let alone taking good pictures. In fact it seemed more crowded than last year. 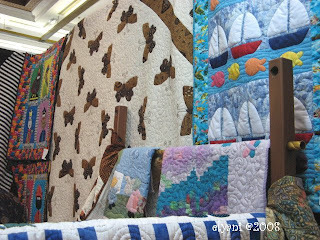 There were many wonderful selection, beautiful works of art in assorted categories and lots of vendors. 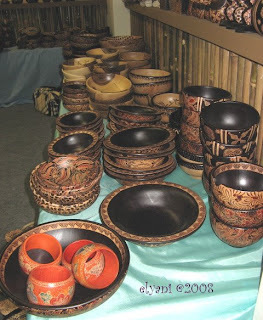 I bought several batik table clothes, wall hanging and painted wooden bowls. Some of the shots I took are blurry and this doesn't nearly cover everything there, but anyhow, I'll share with you random pics I took with my camera...enjoy! As a kid I never played with dolls so much, all I was ever interested in was animals and nature. But my niece, L, is an obsessive compulsive doll/stuff toys collecting. She just collects too many dolls and one of them is Barbie dolls. She did love playing with them, making dress for them, trying different hair styles etc. Of all her Barbie clothing collections, I believe she does not have the one I saw in "Inacraft Fair" today. 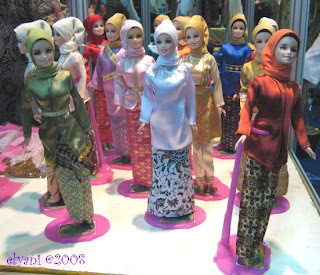 What sets Salma (the Indonesian Barbie) apart from the original Barbie is that she holds an appeal for Muslim girls with her modest clothing and a colorful headscarves! 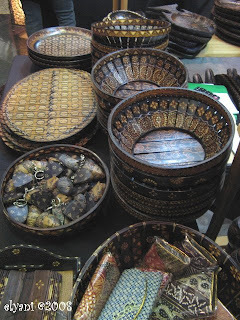 Her extensive wardrobe has been modernised for the Indonesian market to include batik and other beautiful traditional fabric (kain) from Padang, Palembang and Bali. Giving that not all Indonesian Muslim girls wearing headscarves, I was wondering why the creator did not dress Salma in school uniforms, traditional clothes complete with kebaya and sanggul (knot of hair bun), or dress her up in Balinese dancing costumes which is more beautiful? Salma physical appearance does not look like an Indonesian girl at all, her skin is too fair for a girl who lives in a tropical country. 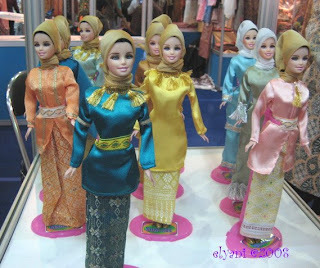 I would prefer an Indonesian Barbie with a light brown complexion, flat nose, full lips, almond eyes and not so tall. To know more about Indonesian Barbie creator, please read here. Sleep is vitally important to one's productive life. Our bodies will collapse with fatigue unless we sleep enough hours every day. Researchers believe sleep (or lack of it) affects other aspects of our health including emotions and judgment. But unfortunately many of us are getting less and less sleeps in our twenty-four hour cycle. Especially in today's fast moving world, sleep is probably the least important activity. However, we need sleep so that our bodies have a resting period. Our minds able to organize our brains and make most efficient use of them without our consciousness interrupting the process. On average I get about 6 hours of sleep a night. I get up at the same time every morning, weekday or weekend (6 am). It also seems like my body is getting accustomed to the earlier wake up either I get out for a morning jog or not. If I don’t get up immediately, I usually lay in bed for another 5 or 10 minutes. Rarely I am still in bed after 6.30am - even at the weekend. Ideally, I'd like to get 8 or 9 hours every day but I've found this very hard to do! I just sleep as much as I need and that is good enough for me. The amount of sleep each person needs depends on many factors, including age. Some people can sleep very little for 6 days and then sleep for 15 hours on the last day, others need to have their sleep spread equally over all days of the week. So, how much sleep do you need? Is your mind constantly active and thinking, especially at night when you're relaxed and trying to sleep? Do you have more energy when you sleep more? I must say that I am very impressed with Kuala Lumpur International Airport (KLIA) on a stop off to Kota Kinabalu, Sabah. As soon as I stepped off the plane and walked into the terminal to a transfer area, I was amazed just how modern and futuristic the place was. It was all glass so you could see out to everywhere. 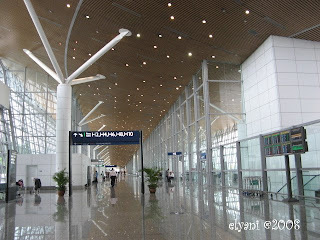 The terminal building is fully air conditioned, comfortable, very spacious with the high roof and is immaculately clean, plenty of amenities at the restrooms area (unlike in Jakarta CGK airport). 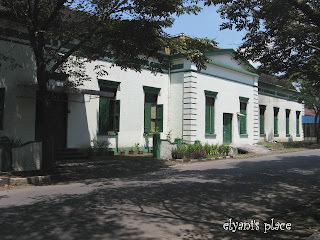 It also has an extensive range of retail/eating facilities, post office ... although I must say foods and drinks are not cheap. Check-in times are short, and immigration clearance relatively fast. 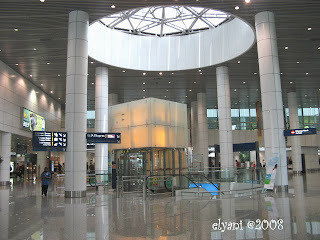 Access between the main terminal and the domestic terminal is by a transit system called the "aerotrain". I rarely had to wait more than two or three minutes to catch the train. Although the food choices in Singapore Changi airport are loads better, being a competitive international airport, I believe KLIA will someday surpass Changi! 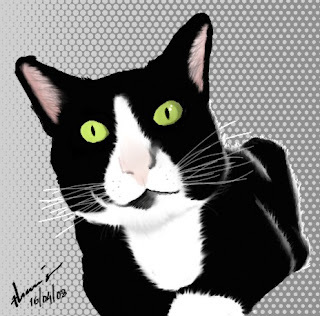 When I opened my inbox last night, I received in the mail a beautiful digital artwork of Suneo, my cat, with a lovely note from Therry. And it was just what I wanted. THANK YOU Therry, love ya!!! Therry's blog has been one of my favorite sites so you can just imagine how thrilled I am to receive this lovely gift? Therry, you have to open your own artwork shop, seriously do it! Hi everyone, I am safely home, back in Jakarta again after a week long trip to Kota Kinabalu, Sabah. 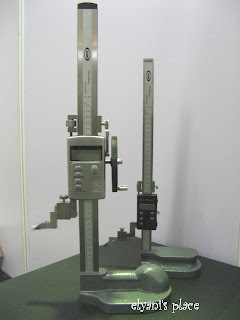 The Expo was exhausting but fine and quite successful. 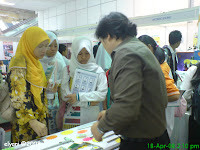 Manufacturing Sabah 2008 is our first exhibition in east Malaysia state. 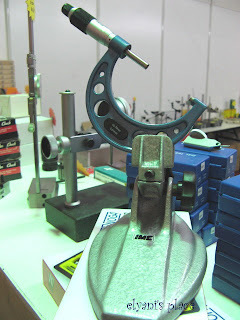 We regularly participate in Johor Bahru, Penang and Kuala Lumpur expo but never in Sabah area. 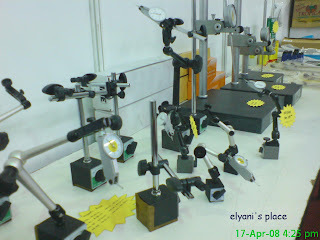 I think for the first timer in Sabah expo, we did make quite a lot of sales, esp. on the last 2 days. Of course it was not comparable with other places like JB, KL since we didn't know what's the market there like. Other than expo, I truly enjoyed my first trip to Kota Kinabalu, Sabah. It took me 2 hours from Jakarta to KL and another 2,5 hours from KL to KK by a connecting flight. Kota Kinabalu airport was small, but well organized and there are some renovation going on to expand the area which resembles to KL airport construction (with lots of uprising slanted silver poles to support the roofs). Soon they will have a regional international airport with high standard. As for the buildings in KK town, they all look alike and square eg. shops/restaurants at the bottom and apartments above. I felt very safe wandering around this small and clean town, and enjoyed the sea front and the chinese food there! Sabah trade center is located not far from the sea-port which made me excited each time we passed by the beautiful seaside on our way to expo building. People here are also friendly, no one is trying to scam you, and accommodation, food, taxi is worth value. I wish I could stay longer and changed my departure date to Jakarta but my boss would kill me if I did that. I've just been swamped with work the last few days. Most of my days has been spent typing on the computer, doing office works, packed the stationery for expo, I have half packing my clothes but have not decided what shoes I will take with me, so busy thus not allowing for many blog posts. I have so much to write about but no time to write it! 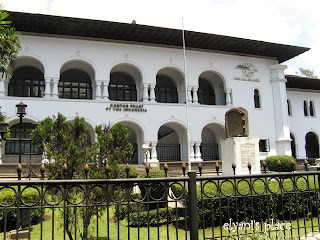 I am heading over to Kota Kinabalu (KK), eastern part of Malaysia by a connecting flight from Kuala Lumpur tomorrow. Manufacturing Sabah will be held 17-20 April 2008 which is a bit odd to me as that means Thursday to Sunday!!! Really not fun working on Sunday especially when you have to stand on your feet all day from 11am to 7pm. 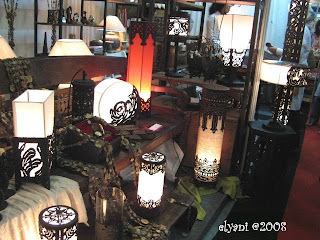 As an exhibitor, of course, we have to come earlier. Normally this kind of expo is held from Wednesday to Saturday but I don't know why they schedule it differently. At the same time my boss wife reminded me to bring Sin$ 500 bank notes just in case the immigration will check on my visit. She said Indonesian girl travelling alone is often suspected as a prostitute or want to find jobs there. Hmmmm...how insulting! I don't know how true is her story but if the immigration asks me in Malay or Indonesian language, I will have to answer in English to give good impression. I was thinking to curse in Javanese, Sundanese or any dialects that I can remember if they create a problem for me...LOL! I did that in Vancouver airport last year to the Chinese lady who was attending the sandwich bar. She's very rude and I ended up saying something bad in Indonesian language! Anyway, hopefully by next week, I'll be in full swing yet again and able to post about my trip. When you hear that someone close to you has been diagnosed with cancer, your heart surely skips a beat. There had to be some mistake. Perhaps this was just an awful nightmare. That just doesn’t happen, etc. As you may remember from previous post, my good friend was diagnosed with ovarian cancer (ovca) two months ago. She had both her ovaries with a large cyst that was indicated of being cancerous, a 10cm umbilicus and an omentum (fatty tissue) removed. She was advised by her oncologist that she should take 6 cycles of chemo, but has refused this treatment. She has a lot of reasons for refusing this treatment, she knew how harmful it could be, not to mention the amount of money she has to spend for the chemo which is quite expensive. In Indonesia a lot of people do not have health insurance and many of them go through a time in life when money is so tight they cannot afford medical care. When caught at earliest stage, ovarian cancer has a good prognosis. At Stage I, ovca has a five-year survival rate of around 90%. My friend was told she had Stage 3 ovca and her probability of survival with chemotherapy treatment was 1-5 years. Having a later stage cancer is like seeing a horror movie. Except the horror is real and there's no escape. Ovarian Cancer can strike at any age, and has the highest mortality rate of all women's cancers. Some risk factors are family history of breast (my friend had a tumor surgery when she was 16), never being pregnant, history of infertility, early menstruation and late menopause. Signs and symptoms can be read here. I strongly recommended my friend to find an alternative treatment practitioner / herbalist to work with since she had been resistant to the idea of taking a chemo, even though her onco was advising her to. I am a bit worry because her recovery has been rather slow. She was still draining puss from a surgical wound the surgeon cut in her belly even 4 weeks after her surgery! She can barely stand for any length of time. She also lost 8 kg (16 lbs) and hasn't gained much weight since. Another problem is her family also plays an important part on every decision she wants to make. They decided to wait until she gets better and seek for an alternative treatment in May or 3 months post her surgery. If she followed her doctor advice, she should already has 2 cycles of chemo by now. I was really worried that taking a couple months off might allow the cancer cells to start growing again. The problem is, no one knows what's going to happen when you take a break. Will the cancer grow? Will it stay the same? No one has those answers. So, last night I spoke to her on the phone and informed her about a herbal doctor in Jakarta that I found from googling in the internet. To my surprise she agreed to see this doctor and will come to Jakarta on Monday. I do understand there is no guarantee that alternative treatment will succeed to cure her problem, but this is a tough disease and you need to give yourself every possible advantage at fighting it. I sincerely hope everything goes well and she gets through this. Ladies, it is important that we be made aware of the risks and symptoms of ovca. Either read about it or look on the web. If you think you are experiencing any of these signs or symptoms and are at high risk for ovarian cancer, it is important to seek medical help. Do not wait until it is too late. Nabung yuk! / let's save money! 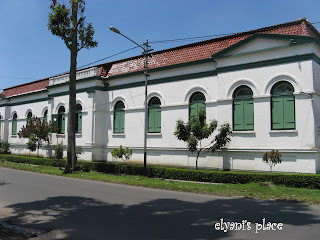 When I walked across one of the street near the Factory Outlet in Bandung, I saw a 'pedagang kaki lima' / five legs or street vendor selling various colorful clay piggy banks. You don't see this type of piggy bank anymore in Jakarta. As a child I had a piggy bank shaped as a dog with big eyes that seem to stare at me every time I pass it. I filled it with coins from time to time. My piggy bank was medium size and it seemed like forever to see them filled up. 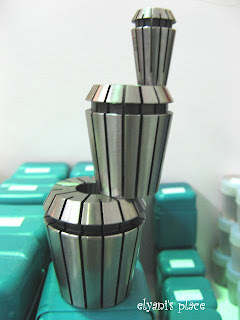 I always had the desire to take the coins for some candies but there is no way to get the stuff out except by breaking it...LOL! Now, did you ever wonder why it is called piggy bank? Read the story here or below. Dogs bury bones. Squirrels gather nuts to last through the winter. Camels store food and water so they can travel many days across deserts. But do pigs save anything? No! Pigs save nothing. They bury nothing. They store nothing. 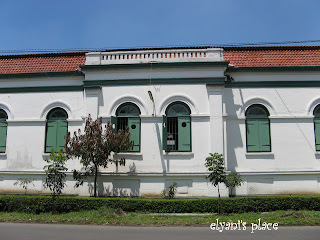 here are a few random pictures from my trip to give you an idea of Bandung city. Guess what I’m doing on Saturday morning? No idea??? guess again Okay ... I’ll tell you. 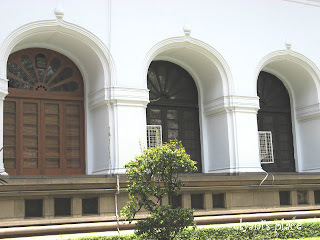 I’m going to Bandung to meet my friend who is still in a recovery process post her ovarian cancer surgery. I’m really looking forward to it, actually. 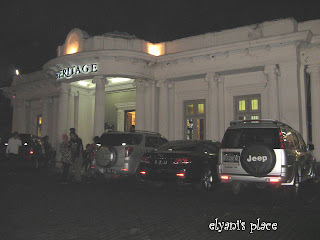 The last time I was in Bandung was in 2007 New Year's Eve with my sister and her family. 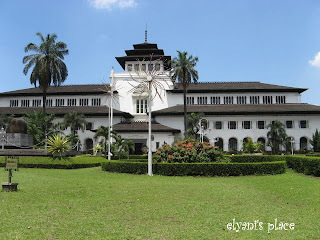 For me, Bandung is a great place for a short break of shopping, eating and self-pampering. I’ll be back on Sunday with photos and stories galore. 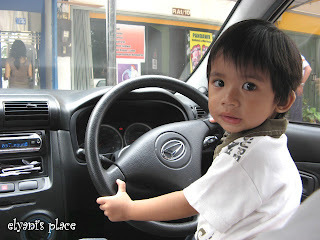 Notes : picture above is my nephew, A, pretending he was driving his dad's car. He is a cutie pie! Since the passing of my best friend Fatso last year, I have found it very hard to get motivated other than reminding myself that I need to take a morning walk again to stay fit. That should be motivating enough, I guess, but I have had many excuses. When Fatso still around, he would come to my bedroom in the morning to wake me up and take him out for a walk. That's great motivation, because if I didn't get up and do it he's going to follow me around and making me feel guilty for making him hold his nature's call. Fatso never did his business inside the house. I keep saying I want to go walking every morning and I never get to go. Sometimes I simply don't want to wake up. This is the toughest battle I face. But I started jogging again a couple of days ago, and I will jog again every morning to improve my health and weight loss. I'm not fat, but I started to get that extra handle in the belly, so it was time to stop it before it got to be too thick like a pork chop...LOL! To beat my laziness what I did was before I go to bed I line up my track suit on the top of my bedside table. That way I condition my mind that when I wake up in the morning I have to put on my attire and ready to go, no more excuses. Admit it everyone, we all are vain and want to look good, aren't we? I ran out of my favorite Pain Relief Oil yesterday. Saying I have a favorite pain relief oil may sound odd to you. But I always struggle on and off with migraine at least once or twice in a month. I usually didn't start out the day with a headache, but it almost always triggered with something petty like being outdoor under the scorching sun too long or I took my lunch a little late than usual. Once it hit me, the pain sometimes last through another day. That's why I always have Panadol Extra on my purse. I love this aromatic oil because it does not have an overpowering scent. It's a nice blend of nutmeg, ginger and cajuput oil (kayu putih), that will give you a soothing and relaxing feeling! I've been experimenting with another blends from the same brand but my favorite is this one. I either use them for massage the forehead, temples, neck and shoulder or pour a few drops of this aromatic blend into the hot water in a basin and breath in deeply.